We are so excited to continue discussing this topic since it is quite uncommon but very interesting. As you have probably guessed, we’re talking about cruise ships that became true television stars. Last time we recalled 7 movies with cruise ships you should watch before you set sail (you can find this story here). Today we’ll check several television series, music clips, and even more. Let’s start with the most “cruise” television series ever. Yes, of course, it’s The Love Boat, which has literally led to a cruise boom. The comedy TV series was based on the Love Boats book by Jeraldine Saunders (who used to be a cruise director) and began in 1977. Pacific Princess (a former ship of Princess Cruises) was the main heroine of The Love Boat. However, the episodes were also filmed on former Island Princess, Royal Viking Sky, and other vessels. Do you remember this opening? What about the most romantic ship horn? 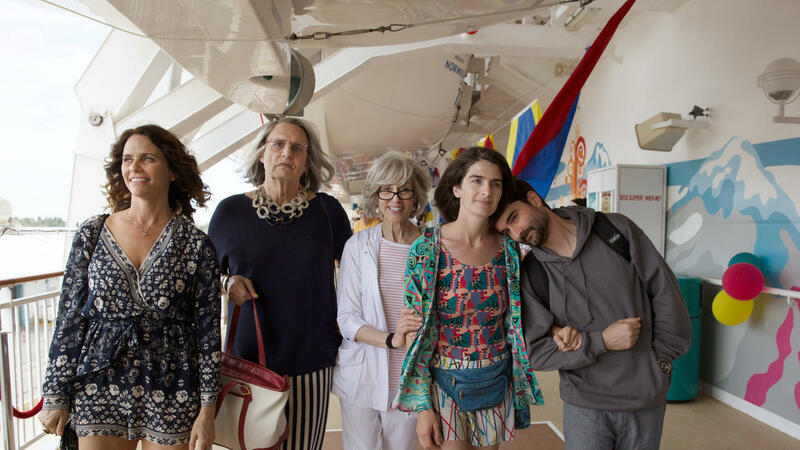 Norwegian Jewel became a movie star after the last episode of the 3rd season of the Transparent comedy-drama TV series (Season3, Episode 10: Exciting and New) was entirely filmed aboard the Norwegian Cruise Line’s representative. By the way, this episode proves once again that a cruise is an excellent opportunity to take a break from the hustle and bustle of everyday worries. Besides, cruise ships – both legendary and modern – participated in numerous travel- and cruise-related shows, reality shows, etc. 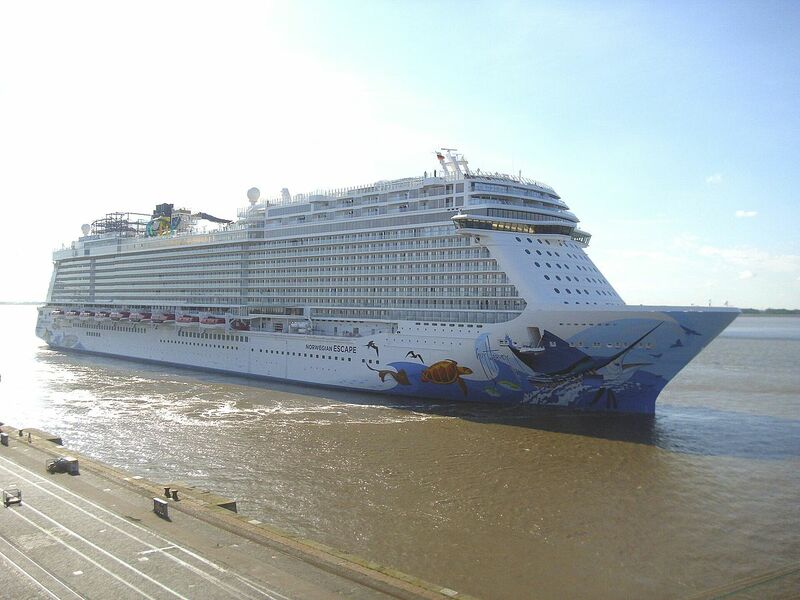 We believe that most of you have heard (or even watched) The Cruise with Galaxy (today known as Marella Explorer), Mighty Ships with Queen Mary 2, Oasis of the Seas, Norwegian Epic, and the others, as well as many other exciting TV series. Modern cruise ships were also seen in several music videos. No doubt many of you have already danced to Pitbull’s “Freedom” and watched the exciting video, which was filmed on Norwegian Cruise Line’s Norwegian Escape. We can even guess that many people decided to take their first cruise after watching it, and no wonder. The song, as well as the music video, perfectly shows what the cruise vacation is about. And it’s about the fresh breeze, fantastic views, discoveries, carelessness – about freedom. Well, after watching this video, everything you want to do right now is sing, dance, and pack your bags for the cruise. We’d like to share another piece of video-art with you. This story was filmed by the Ukrainian pop rock music band called Antytila, and it completely took our breath away. It is a short film about a person that dreams of breaking out of limitations and prohibitions and jumps from the cruise ship into the ocean – to get out of his country. The leading roles were played by Oleh Lisohor, a famous Ukrainian swimmer, and the... cruise. Yes, the cruise acted as a way to escape in this case. Well, let’s watch the video – we believe you’ll see it for yourself. Did you notice Celebrity Constellation in the video? By the way, the plot is based on a real story of Stanislav Kurilov, an oceanographer who escaped from the Soviet Union by jumping overboard from a cruise liner in 1974. Of course, you should never repeat this. Nevertheless, the story is fascinating and really inspiring. Now it’s time to enjoy the musical short film “Anna” starring amazing Emma Stone, a beautiful cruise ship, and a lot of dancing. By the way, can you guess the ship? Yes, of course, it’s legendary Queen Mary. As you can see, the ocean liner served as a background for this fantastic musical short film. She literally turned into one huge dance floor. Of course, we cannot but mention the fact that cruise ships become stars not only in movies, TV series, shows, and music videos. Have you already seen Hotel Transylvania 3: Summer Vacation? If not, then make yourself comfortable and be ready to get enough inspiration to book the next cruise.